While we couldn’t go out and buy the movie right away, I did get to work making fun Big Hero 6 snacks and crafts at home. In fact, we just made another one perfect for spring! 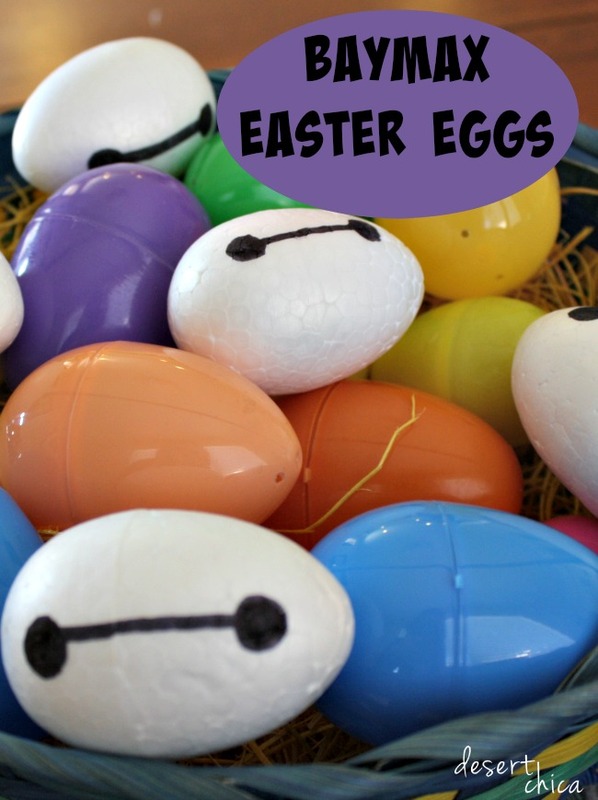 I recently found a 6-pack of styrofoam eggs at our local 99 Cents only store and immediately thought of Baymax!! I tucked the glitter pens away for another day and pulled out a black sharpie. Drawing Baymax’s eyes is pretty easy, you can even let the kiddos do it. Now we have fun Easter decorations to display! And speaking of Easter Eggs, don’t miss this fun “Easter Egg” clip from Big Hero 6. Did you catch any of those fun secrets the first time you watched the movie? We really love this movie, it’s superheroes mixed with Disney magic. It’s a fun movie the whole family can enjoy! Disclosure: I received a copy of the DVD for the purposes of this coverage. I am pretty sure everyone knows how much we love Baymax and Big Hero 6. Check out the Big Hero 6 facebook page for more information and fun activities. And don’t miss any of my other Big Hero 6 posts from crafts to snacks we’ve got all the bases covered!